Henry VIII was King of England from 1509 until his death. Henry was the second Tudor monarch, succeeding his father, Henry VII. He is best known for his six marriages, in particular his efforts to have his first marriage, to Catherine of Aragon, annulled. His disagreement with the Pope on the question of such an annulment led Henry to initiate the English Reformation, separating the Church of England from papal authority. His contemporaries considered Henry in his prime to be an attractive, educated and accomplished king. He has been described as "one of the most charismatic rulers to sit on the English throne". He was an author and composer. 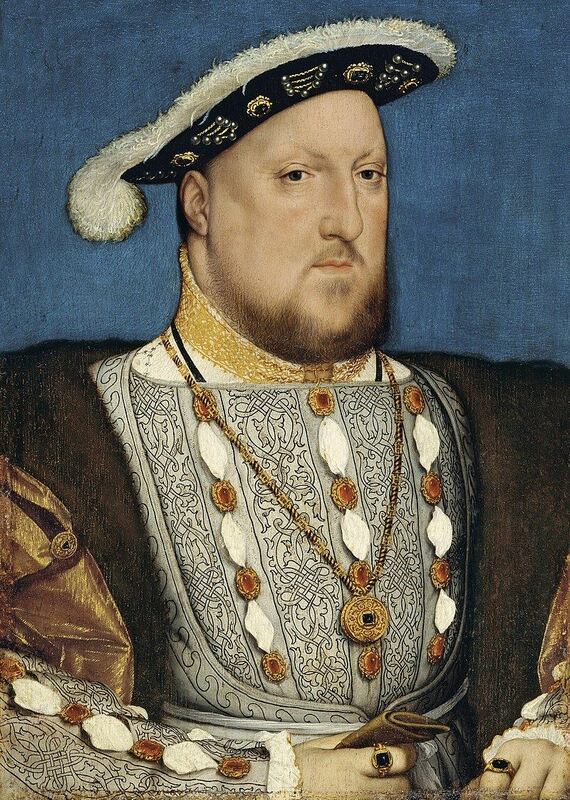 As he aged, Henry became severely obese and his health suffered, contributing to his death in 1547. He is frequently characterised in his later life as a lustful, egotistical, harsh, and insecure king. He was succeeded by his son Edward VI.